The Jersey Shore Boca men’s summer soccer program will officially begin this weekend as the Boca U23 and U20 teams head to Fort Dix to participate in the Mid-Atlantic Summer Showcase League Season Kick-Off Festival which marks the official opening day of the 2005 summer season. The U23s will square-off against the NJ Rangers and CT Strikers while the U20s face Lehigh Valley (PA) and Milmay FC from South Jersey. TOMS RIVER, NJ (June 3, 2005) – The Jersey Shore Boca men’s summer soccer program will officially begin this weekend as the Boca U23 and U20 teams head to Fort Dix to participate in the Mid-Atlantic Summer Showcase League Season Kick-Off Festival which marks the official opening day of the 2005 summer season. The Mid-Atlantic Summer Showcase League opening day Sunday festival schedule pairs the Boca U23s against the NJ Rangers in the first game of the day and then the powerful Connecticut Strikers, who topped Boca 3-2 in the final MSSL season game last year. The Boca U20s will square-off against Lehigh Valley United from Allentown, PA in their first match on Sunday and then the U20s finish the day against Milmay FC from South Jersey. The Mid-Atlantic Summer Showcase League (MSSL) is a second year regional soccer league fostering high-level competition during the summer months at both the youth and adult ages in both men’s and women’s divisions. Both Boca teams will play a 14 game regular league schedule starting Sunday including “festival” type weekends when several MSSL teams play in a round-robin format at a central location similar to this Sunday at Ft. Dix. The MSSL season ends on July 31st. Boca’s league home games will be played at the Manchester Soccer Complex in Manchester Township. The Club is also in current discussions with league officials to host a “MSSL Festival” at the Manchester Soccer Complex during the season which will include a free morning soccer clinic for youth players given by Boca U23 and U20 team members prior to the MSSL league festival games in the afternoon. Jersey Shore Boca was one of the inaugural founding members of MSSL last year entering one U23 team that finished in seventh place in the standings out of ten teams with an overall league record of 2 wins 6 losses and 1 tie. “During our club’s history, we have always provided a competitive environment for our Boca college players to stay active over the summer months when they return to the shore. MSSL allows us to continue our college-age program this year at the highest level of soccer available at the most affordable cost. This is not a Sunday tavern league. There will be some very good soccer played as we saw last year” said Walt Konopka, a member of the Jersey Shore Boca Board of Directors who will direct this year’s summer program along with fellow Board member Steve Ruch of Toms River. In addition to Boca’s two entries and their opponents on Sunday, the remaining 2005 MSSL men’s adult division consists of the Albertson SC (NY), World Class SC (NJ), Brooklyn Italians (NY), Cherry Hill United (NJ), FC Westchester (NY), Iron Lakes SC (PA), Matchfit Soccer Academy (NJ), West Chester United SC (PA), Winslow SC (NJ) and PDA (NJ), the 2004 MSSL U23 men’s champion. 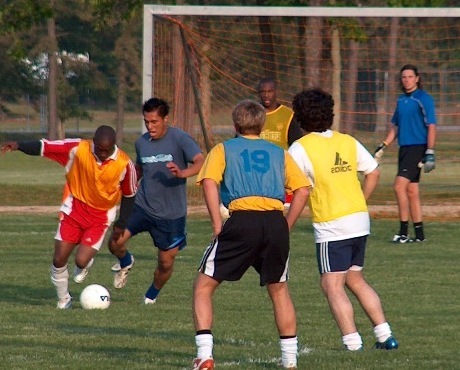 “After our participation in MSSL last year, we had a tremendous influx of additional college age players looking to join our summer program for 2005. We started to identify this large player pool back in January. I believe we have assembled two teams that will be very competitive this year while also doubling the amount of players who will have the opportunity to participate in this tremendous summer soccer environment” Konopka added. 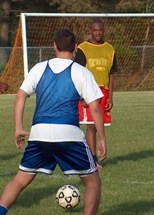 Of the forty-three players included on the Boca U23 and U20 team rosters for the 2005 summer season, twenty-eight played their high school soccer locally in the NJSIAA Shore Conference. The Jersey Shore Boca men’s summer soccer program is officially sponsored by Surf Taco, a popular Mexican themed restaurant chain based in Point Pleasant Beach.